In his travels DeathSpank has brought justice to the downtrodden, faced the riddle of bacon and defeated evils so horrible they would make just plain evil lose its lunch. DeathSpank: Thongs of Virtue is a hilarious adventure full of violence, sorcery and war-metaphors! And it’s fun! Remember fun? You hit things with swords, blow things up with magical bazookas, zap foes with Tesla Rods or chuck Fire hand grenades at their big stupid dumb heads . Featuring the trademark humor found in the original, Thongs of Virtue centers on DeathSpank’s journey through a massive war-torn land; explore the North Pole and the high seas to locate the mystical thongs to bring peace and harmony to the universe. 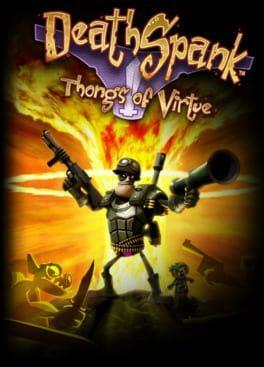 DeathSpank: Thongs of Virtue is available from 9.99 to 9.99 from 1 shops.